The moments after a car accident are hectic. They can be wild, chaotic, and terrifying. It can be one of the most difficult times in your life. It will certainly be, in all likelihood, one of the most difficult times in your life to “keep your head.” With so much going on, it can be hard to focus on exactly what to do that’s the most important. 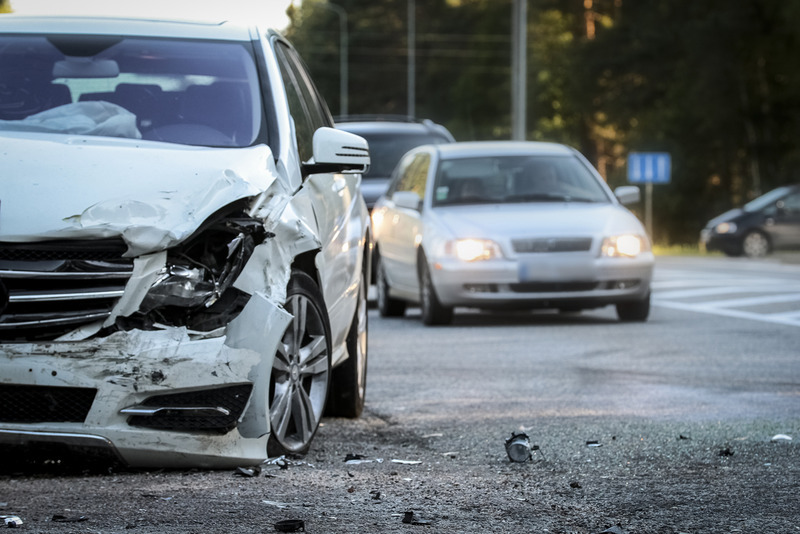 That’s one of the major reasons we harp so much on “what to do after an accident” in our Los Angeles car accident attorney blogs. The more you know, the more prepared you’ll be should the worst happen. The experience of going through a car accident can be jarring at best, or easiest. Most likely, it will be an extremely difficult time when you’re going to need the help and love all of all the people around you that care about you in your life. In fact, that’s one of the best reasons to hire a Los Angeles car accident attorney. As we’ve been through this before with so many of our clients, we can help you to have the best case possible. With us working your case, you won’t have to worry about it. You can focus on what’s truly important: making sure that you recover all the way. That being said, one thing our team of attorneys that specializes in car accidents always reminds clients: listen to what your doctor says. When your doctor says you should do something, then you should do it. That may seem like a basic or common fact, but people often don’t do exactly what their doctor says to do to the letter. As your doctor is only really concerned with making sure you recover as quickly as possible, that’s one of the major reasons you should follow their advice. Your health is the most important thing. An accident can be clarifying about just how fragile we all are. When you follow your doctor’s advice, you give yourself the opportunity to recover as fast and as comprehensively as possible. Of course, there is another reason to follow what your doctor says as much as you can: the insurance company. The insurance company is always looking for a way to give you less money than you should have. They will take any reason, no matter how flimsy, unjust or outright dishonest to do so. One of the most important things you can do as someone who’s been through a car accident is to not give the insurance company that one reason they’re looking for. If you can do that, then our Los Angeles car accident attorney team can take care of the rest. That brings us back to medical treatment. Take the medical treatment advocated by your medical professional. Follow their instructions and advice. Even if it seems annoying, even if it takes up more time than you’d like, follow it. If you don’t, that’s the exact kind of opening the insurance company is looking for so they can pounce on it. Perhaps you’ve been to the doctor’s for treatment sessions, but then after a while, decide it’s not really for you. Maybe you’re starting to feel better, or maybe you’re just so busy you don’t have time to go back. As soon as someone from the insurance company hears that, they’re going to use it against you. They’ll make the argument that: “well, you see they couldn’t have been hurt that badly. If so, don’t you think they would’ve continued with their treatment? Since they didn’t do that, the only reasonable assumption is that they didn’t get hurt that badly, and thus deserve so much less compensation… if any compensation at all.” Sure, that’s a bit of exaggeration, but it’s the end thinking of where the insurance company’s logic will go. And, unfortunately, to someone listening to this argument, it can sound a bit compelling. Sure, it’s total nonsense. Of course your injuries were bad. Of course you needed time to recover, and you certainly deserve to have compensation for everything that you’ve been through. But, the insurance company’s point about refusing treatment can resonate. That argument can present problems. Instead of giving in to what the insurance company wants, take care of yourself. The best way to do that is to follow through with what the doctor says. For some people, the hardest part isn’t following through with what the doctor said. No, for them, the most difficult part of the process is actually seeking medical treatment in the first place. For many reasons, people don’t want to see a doctor after an accident. Perhaps it’s a question of insurance, perhaps it’s something else, but there are many people who after an accident just won’t go to see a medical professional. Our Los Angeles car accident attorney team wants you to know that you should see a doctor after an accident for multiple reasons. The most important reason is, of course, for your own health. It’s hard to self diagnose even if you’re a doctor. However, most of the people who’ve been in car accidents are not doctors. That means that it’s essentially impossible to know exactly what all of your injuries are after you’ve been in an accident. Even if you feel perfectly fine, like you have no aches or pains whatsoever, you should go see a medical professional after an accident. You wouldn’t buy a car without taking it for a test drive, and you shouldn’t just trust that you’re OK after any kind of vehicular accident. Our Los Angeles car accident attorney team has encountered so many people who didn’t get medical attention after an accident and now regret it. Sure, you might feel fine right after the accident. You may even return to work, school, and your own life immediately. But, so many times, people develop injuries later on that are a direct result of the accident they were in. Maybe the accident jarred something loose, or it weakened something else in your body, and the true, more nefarious nature of your injury is revealed long after the accident is over. That’s when it can be more difficult to get all of the compensation that you’re owed. The insurance company will be able to say: “well, how bad could their injuries be? I mean, you didn’t even go to get medical help right after the accident. This is just a case of someone making up their injuries so they can get a quick buck.” Bear in mind: none of that will be true. You could have awful injuries that came as a direct result of your crash, but without going to a medical professional, this is just one of the arguments that the insurance company will be able to make. Another important thing that happens when you go to a medical professional after you’ve been in an accident is that your injuries are documented. The medical professional will write down, in their capacity as an expert, the injuries you suffered in the crash. If you don’t have that, it opens up a whole new can of worms/argument the insurance company can make. They could say something like: “how do we even know these injuries came from the accident? They could have been from something else and the ‘injured party’ is just saying this now.” Documentation keeps this from happening. There are so many reasons to do exactly what the doctor says after going through a car accident. Of course, it’s also critically important to contact the doctor in the first place. Another critically important step to getting the compensation you deserve is calling a Los Angeles car accident attorney at (818) 210-4558 or reaching out through our website.